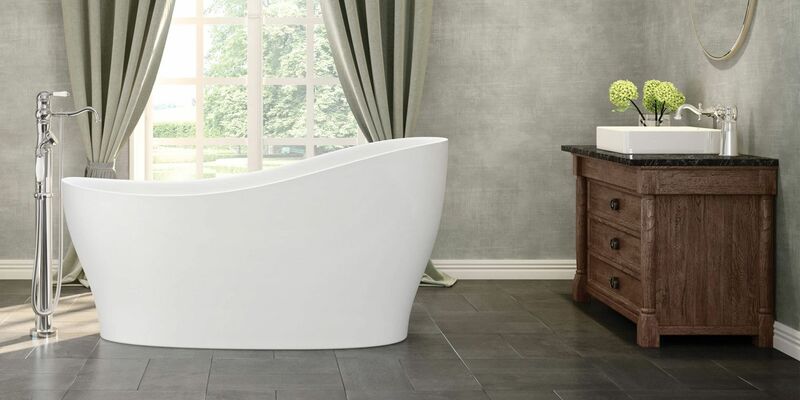 Looking to buy Clawfoot, Corner, Rectangular, Oval And Maax Freestanding Bathtubs? We offer extensive collection of Maax Bathtubs with hydro massage systems. We carry all wide range of shapes, installations and sizes to suit your needs. Your bathtub is a long lasting investment, it’s not something you’ll replace anytime soon. From innovative wall-mounts to impressive freestanding options, MAAX has a wide range of shapes, sizes and installations to suit your needs. The comfort-obsessed designers at MAAX have developed the most advanced whirlpool, air massage, back massage, multi-jet body spray massage and steam systems available anywhere. MAAX always continues to grow as a leading manufacturer of bathware products for the residential housing markets in United States and Canada. MAAX’s mission is to manufacture high quality, elegant Bathtubs that create the most enjoyable bathware experiences possible. Their broad range of shower doors, bathtubs, showers and bases offer unique style. With over 45 years of experience, they have numerous peer association awards, and is the industry’s largest operational footprint in North America. Whether you’re starting a renovation or building your dream home, we are here to help you every step of the way. We also ship to all parts of Canada and the USA. If you can’t find what you’re looking for, call Bliss Bath And Kitchen at (905) 944-0330 or Toll Free: 1-855-366-1001 or email us at admin@blissbathandkitchen.com. We can special order the item not listed on our website. You can place your order online or over the phone and we ship to all Provinces of Canada and states in the USA.